Welcome to EPCOMJobs.com! This job board is utilized by Taurus’s EPCOM Alliance Partners, a group of industrial service companies strategically located along the Texas Gulf Coast. In addition to our offices located in Corpus Christi, Port Lavaca, Victoria, Clute, Freeport, Houston and Orange, our alliance partners also provide in-plant services to clients throughout North America and internationally, as requested. This EPCOM Alliance Partnership is composed of a combined staff of engineering, procurement, construction, operations and maintenance employees. 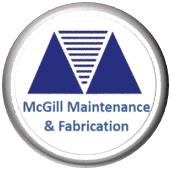 This alliance allows us to offer engineering and field services in Civil, Mechanical, Instrument, Electrical, Procurement, Fabrication, Welding, Plant Operations, Maintenance, and Turnaround Support. This job board is your resource for our EPCOM Alliance Partnership engineering, procurement, construction, operations, and maintenance postings- providing you with the opportunity to browse our available openings. © 2014 Jobmonster. Designed by NooTheme.